Boy could we have used one of these this past weekend! 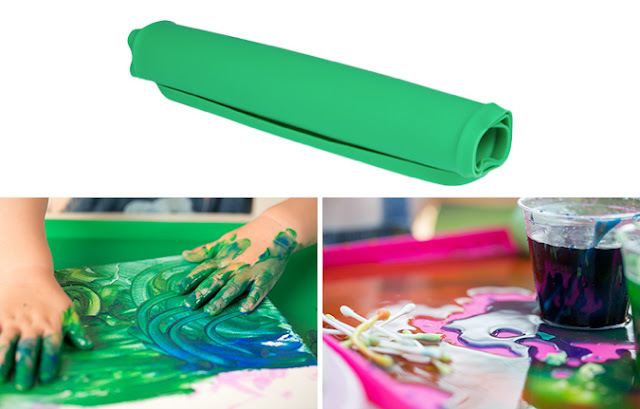 My daughter and I were painting and had it literally everywhere. On our hands, faces, the table, you name it! 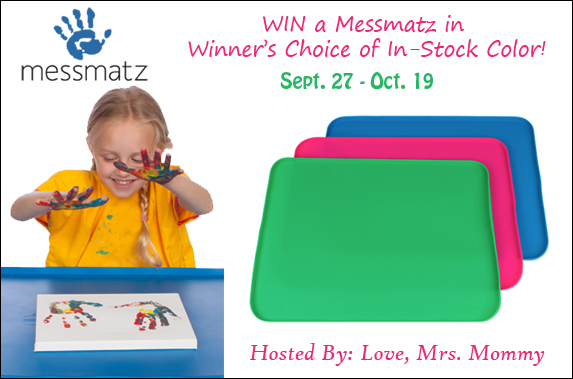 Winner will receive: A Messmatz in winner's choice of in-stock color (blue, pink, or green)! Up to a $32.11 RV!